Thanks to Anna Grimm for beautiful portraits. 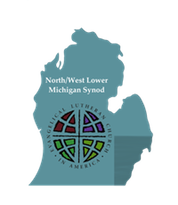 Craig Alan Satterlee is bishop of the North/West Lower Michigan Synod of the Evangelical Lutheran Church in America. 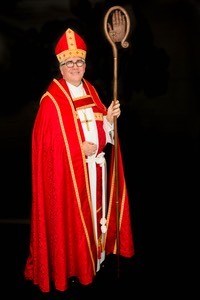 He was installed as bishop on September 22, 2013 at Trinity Lutheran Church in Midland, MI. Ordained in 1987, Bishop Satterlee served congregations in Upstate New York and Michigan. While a seminary professor, he served as interim or consulting pastor in Chicago area congregations. Firmly grounded in parish ministry, Bishop Satterlee names as a priority of his ministry preaching and presiding in congregations of the synod as a tangible expression of the unity of the church. Bishop Satterlee is also a liturgical scholar, homiletician, and teacher of worship and preaching. He served as professor of homiletics at Lutheran School of Theology at Chicago, dean of the ACTS Doctor of Ministry in Preaching Program and adjunct professor in the Department of Theology at The University of Notre Dame prior to his election as bishop. He holds the honorary title of adjunct professor at Lutheran School of Theology at Chicago. "Preaching is the living and contemporary voice of on e who interprets in all the Scriptures the things concerning Jesus Christ (Luke 24:27). In fidelity to the readings appointed for the day, the preacher proclaims our need of God's grace and freely offers that grace, equipping the community for mission and service in daily life.” ELCA, The Use of the Means of Grace, 9A.